La’Shawn Littles knows Thomas Nelson’s annual Give Kids A Smile day will be hectic. She wouldn’t have it any other way. 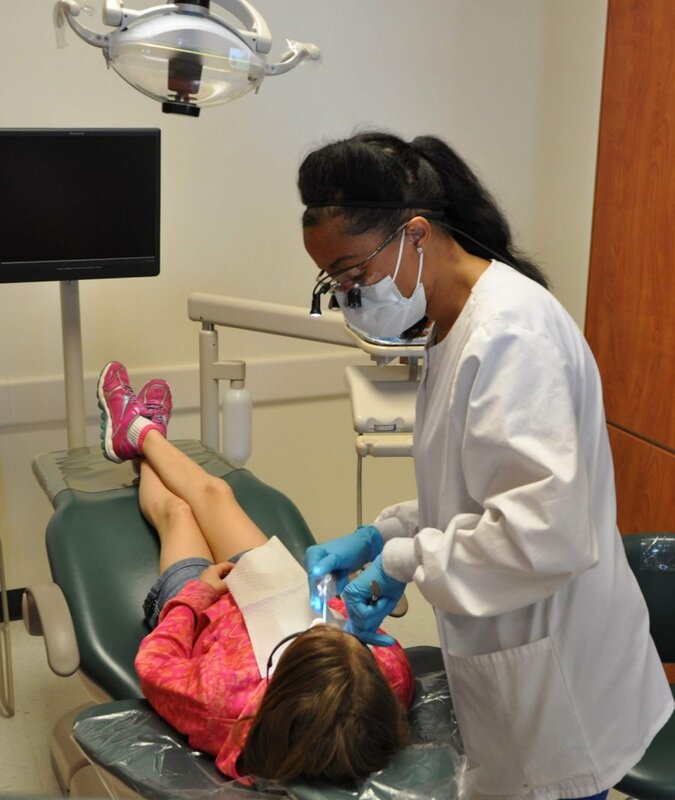 “Our goal is to see about 28 patients,” said Littles, the clinical dental assistant/trainer and instructor in Thomas Nelson’s Dental Hygiene program. The event, scheduled for 9 a.m.- 4 p.m. on Feb. 8 at the Historic Triangle campus in Williamsburg, provides free educational, preventive and restorative services to children from low-income families. Seven second-year Dental Hygiene students will lead the exams assisted by first-year students. In addition, local dental hygienists will be on hand to help. The make-up day is Feb. 15. Each patient will be scheduled for a 90-minute appointment, which will cover an exam, X-rays, cleaning, sealants and fluoride. “In a regular dental office, that would be a $200-$300 procedure,” Littles said. The program was first held at Thomas Nelson in 2016, and it has been a success from the start. Prior to 2016, Dental Hygiene students volunteered for Give Kids a Smile several years at participating Williamsburg area dental offices. She’s proud of the fact the event does so much to help the community, which after all is what Thomas Nelson is about. “A lot of young families who don’t have insurance and don’t qualify for Medicaid or Medicare can come here and get all their children’s work done,” Littles said. It’s a big benefit for the Thomas Nelson dental students also. “They do enjoy it because not only does it help them meet their requirements, but it gives them the experience of working with different ages of children and different ethnicities,” Littles said. Those interested in volunteering or making an appointment may call Littles at (757) 258-6604. Signups are recommended, but walk-ins will be accepted.